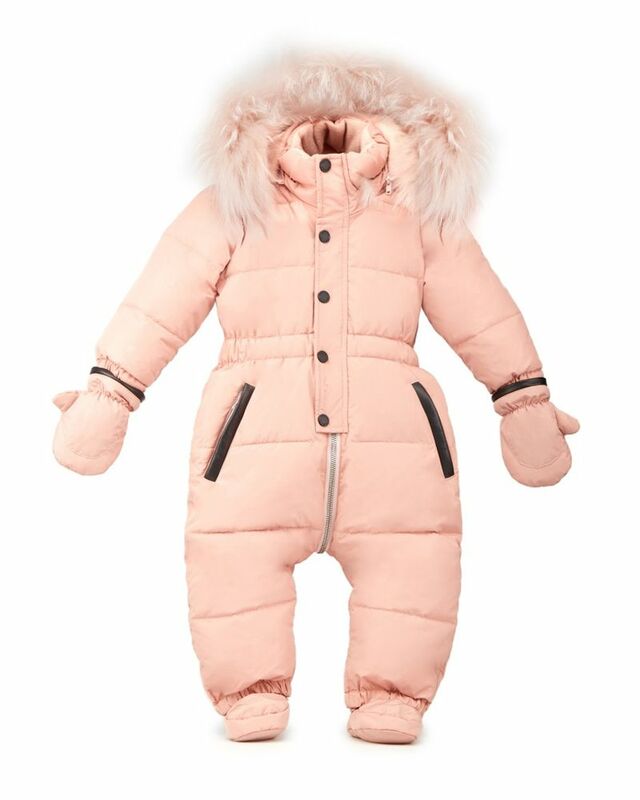 Rudsak winter rose onesie snowsuit with front zip and button closure, mittens and pink fur trimmed hood. 100% Polyester, 100% raccoon fur. Imported.